Life science is another word for biology, the study of life and living things. This life science word search contains 30 different life science glossary terms. 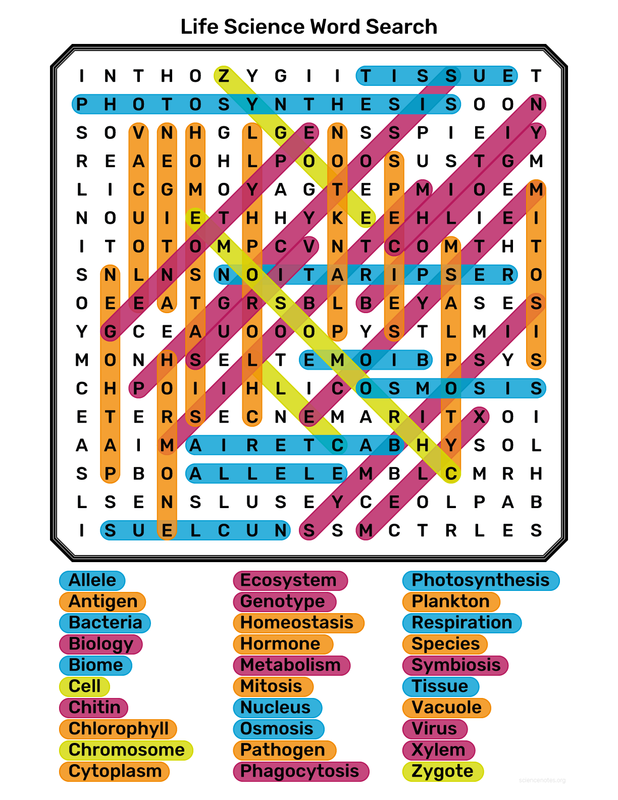 These life science vocabulary terms can be found horizontally, vertically, and diagonally both forwards and backwards. The word search will fit nicely on an 8 1/2″ x 11″ sheet of paper. The puzzle scales down nicely if the PDF is used and selecting “Fit to Page” on the print options. 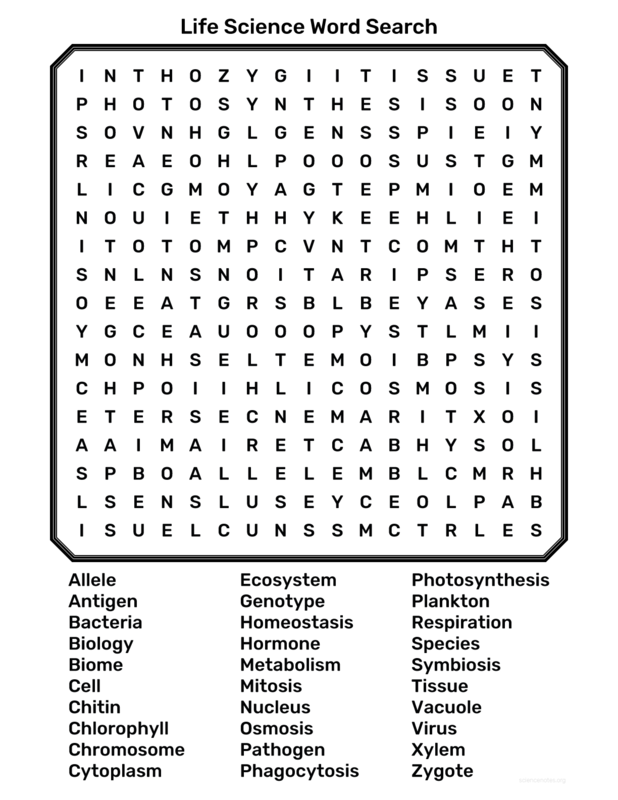 If you have trouble finding a word or two, feel free to check out the completed Life Science Word Search.